Learn about TextBox SMS marketing solution for businesses. Includes info on TextBox, free trials, pricing, and FAQs. TextBox is a communications platform that offers an SMS tool. 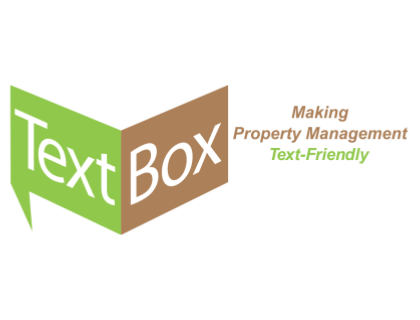 TextBox can be used in advertising, medical offices, apartment communities, and more. With this tool, users can equip existing business landlines, VoIP and toll-free telephone numbers for efficient two-way communications by text. Pros: Professional software that's easily accessible. Equipped with useful features. Great customer support team. Cons: Costly service. Lacks robust tools. Bottomline: Solid choice. Professional and easily accessible. Offers basic but key features. However, the service can be costly. What is TextBox's price range? TextBox plans range from $39.00 to $129.00 per month. Is there a TextBox free trial? Yes, TextBox offers a free trial by request. To access the free trial, go to businesstextbos.com and click 'Contact Us/Start A Trial' in the main homepage menu. What are some TextBox alternatives? Where can I find the TextBox login? TextBox does not have a login option. BusinessTextbox.com. It's $50 and currently on 5PCs. I'm advertising "Submit Applications over phone, fax, email, text" 3 months and then will re-evaluate(I'm on the fence). Pro:We've received 10ish applicants via text- Not sure on conversion rate at the moment(It's the weekend, and I've worked enough this week). It is impossible to know whether or not they apply via fax or email. I've had 20 staff members and a dozen or so friends text office line. All went through. Cons: It's another bill ($50 but still its easy to inflate G&A with everything out there). We have also received "We texted you but you never responded", and people texting the wrong number etc. In comparison to 04/2016: 04/2017 Sales are up 30% and marketing costs have been cut by 40%-50%. Most of this is in re-negotiating with vendors and moving small profit products away from physical mailers and also breaking down each task to the most efficient process. I'm really not sure how to feel about the text, there maybe a better way to spend $50 but I'm also painfully cheap with G&A as it tends to pile up and rarely gets cut.